Many people start running to lose weight, and it's a smart strategy - it burns more calories per hour than just about any other type of cardio. For every mile you log, you burn about 100 calories, which means it probably takes you around 10 minutes to run off 100 calories - a rate that leaves most other forms of exercise in the dust. It's reasonable to assume that running would lead to weight loss. However, some runners find that they don't lose weight, some even gain weight, or they lose a few pounds and then hit a plateau. Before I go into tips on how you can use running to help you lose weight, here’s a quick overview of the four most common reasons many runners do not lose weight from running. Too many calories. Losing weight is all about maintaining a calorie deficit, a.k.a., you have to burn more calories than you consume. Even if you run every single day, if you aren't burning more calories than you're consuming, you're not going to see a difference on the scale. A good way to combat this problem is to figure out how many calories you need each day, then figure out how you can create a deficit of 3,500 calories, which is equal to one pound. If you can eliminate 3,500 calories per week through a combination of diet and exercise, then you will lose about a pound per week. Calculate how many calories you can take in each day in relation to how many your burn, then download a calorie counting app on your phone or tablet to help you stay on track. 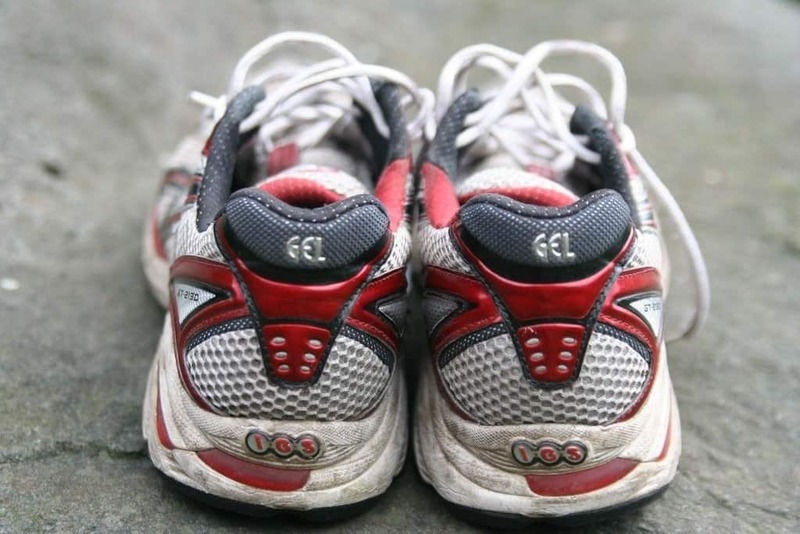 Some running forums out there boast that if you start running, you can lose weight without dieting. This could be true, if you are able to maintain the same caloric intake every day. Running makes you hungrier. While this isn’t true for every runner, most of the time being on a regular running schedule will hike up your metabolism, making you feel more hungry all the time. Some people assume that if you are running nearly everyday, you have the freedom to eat whatever you want because you will just burn it off later. This is not usually the case, and definitely not the case if you want to use running as a way to supplement weight loss. Try spreading out your calories throughout the day into 5 or 6 small meals so you don't get too hungry and overeat. You’re building muscle, which weighs more than fat. Another explanation that may lead you to believe you aren't losing weight, is that you're building more muscle mass, which is denser than fat. So while you may not be losing weight, your body fat percentage has decreased and you're more toned. Try to pay attention to how you're feeling overall, and use measurements other than weight, such as inches lost, to mark your progress. Lack of variation. Although running will help you lose weight, you body will adapt over time if you keep repeating the exact same exercises over and over, leading to less calorie burn. This is the primary reason that most runner hit a weight loss plateau. If you go into the gym and always run the treadmill at 5.0 for 30 minutes, after about two weeks or so your muscles will adapt to that workout, which means that they won’t have to work as hard and the amount of calories you burn will decrease. These next tips will help you combat these problem so you can use running to help you lose weight, and keep it off for good. Make a schedule. Whether you’re new to running or you’ve been doing it regularly for 20 years, making a schedule will help you reach any fitness goal. Running schedules are important because they allow you to increase your distance and intensity gradually, so that you don’t hurt yourself and you can shed the pounds over time. They also remind you of exactly what you need to do each day, to help you stay on track and motivated. There are running schedules out there for nearly every type of running goal: to train for a 5K, a marathon, to blast fat, to tone certain areas, and more. If you simply want to run to lose weight, we have created several different training plans for runners - one of which may fit your needs, below is a quick overview for who the plan is for. Increase mileage. This one is pretty obvious, but it's also the most effective. The more miles you run, the more calories you burn. Your mileage should increase gradually (which is why the schedule is important), no more than 10% per week. Using running to supplement your weight loss will require a bit of patience, you can’t go out on week one and run 80 miles. Start small, around 8-10 miles per week, and gradually increase. You’ll lose more weight over time as you increase the miles. One good way to make sure you lose weight over time, is to keep your weekly caloric intake the same. Say you consume about 7,000 calories per week, if you remain at that amount every single week, then the pounds will come off in higher and higher amounts as the weeks go by. Have a sensible diet plan. Like I mentioned before, you don’t necessarily have to diet in order to lose weight running, but it certainly helps accelerate the process. Running will help you maintain a calorie deficit by increasing the number of calories you burn, but it’s up to you how large that deficit is. Remember that the goal is to eliminate 3,500 calories per week, if you want to lose about a pound per week. The problem for most people is that running makes it difficult to eat less due to increasing appetite. If so, try spacing out your calories into about 5-6 small meals per day instead of three. Change the way you think about running. Too often, runners celebrate the completion of workouts by eating low quality foods, heading out for a celebratory round of beers, or otherwise treating themselves to things that probably contain more calories than were burned in the workout. They look at running as a chore, and food as a reward. My advice is to reverse these roles, and to think about food as necessary fuel and running as a reward. The mindset that you bring to your exercise program is important. Even though your goal might be to lose weight, one of your top priorities should be to learn to enjoy running. You will only benefit from running if you keep doing it, and you will likely only keep doing it if you enjoy it. If you can adopt running as an enjoyable task in your life, then you are much more likely to maintain your weight after you have met your weight loss goal. Change the way you think about eating. Many people look at dieting as a bad thing, a boring things, or an otherwise incredibly difficult thing to do. Try to think of food as fuel for your run. Avoid seeing food as a reward, instead try to look at exercise as a reward - in exchange for nourishing your body well, you receive a toned, fit body and a positive mindset as a result. Fitness expert and weight loss guru Jillian Michaels encourages her trainees to become an 80/20 eaters, in which 80 percent of the food you eat each day is healthful and nourishing, and the other 20 percent is fun and indulging. This will help you increase your overall diet quality, without making you feel deprived and tempted to quit. Just make sure that in your efforts to eat this way, that you don’t go over your calorie budget. Keep it Challenging. As I mentioned earlier, repeating the same workout over and over will eventually decrease the amount of calories you burn. While increasing your mileage will help you lose weight, if you always run at the same speed, then eventually this will not be as effective as your body starts to adapt. The body adapts really well, really quickly to repeated forms of exercise. The good news is that your endurance has increased, but the bad news is that you need to keep doing longer and longer distances to burn the same amount of calories. If you want to keep the pounds dropping, you have to up the intensity of your runs, or keep your body guessing by cycling through other cardio equipment like the stationary bike, elliptical, or the stairmaster. Turn up the intensity. When it comes to fat loss increasing intensity can be just as beneficial, in some cases more beneficial, than distance. Rather than sticking to the long, slow, steady-state running, add some speed drills and high-intensity intervals to the mix. Hit the hills. If you’re used to running on flat ground, then hit the hills to burn more calories. For every degree of incline, you get about a 10 percent increase in total calories burnt. You can integrate hills into your workout by simply running on a hilly course, or by using them for interval training (run up, walk down, repeat). If you’re in the gym, set the treadmill to a 5 percent incline for a few minutes, then reset for the jog back down. Not only is this going to burn a lot more calories, but you’ll target the muscles in your thighs and buttocks too. Hit the stairs. Stair running is one of the best fat burning and overall conditioning exercises you can do. It’s similar to hill running, but the incline is steeper, the demand from your body is more intense, and the calorie/fat burn is higher. The stairmaster in the gym is a good way to integrate the stairs into your workout, and is rather low impact. For a more intense stair running session, find an empty stadium, parking garage, or other place that has a long stairwell where you can run up the steps, then jog or walk back down. Hit the weights. Some people believe that strength training will not supplement their weight loss, since it doesn’t feel like burning calories and only adds weight in the form of muscle density. However, strength training is an excellent way to supplement weight loss because even though it isn’t a form of cardio, it does burn fat and calories, and it helps decrease your bodyfat percentage. It tones muscles in places running doesn’t, giving you the tone symmetry you want as the pounds start to come off. Building muscle also helps increase your metabolism, which helps you burn fat even while you’re resting! Research shows that if you spend about 20 minutes doing strength training, you will use up your glycogen stores (the energy from carbs) which means when you follow lifting with running, you’ll jump straight to fat-burn rather than energy burn. Even if you aren’t running in the gym, you can use outdoor equipment to help you strength train during your run. For example, if you’re on a trail or in the park, use the first bench you see for tricep dips, the next for pushups, the next for step ups, etc. Don't run on empty. Studies have shown that running before you eat can actually help you burn more fat. A University of Texas study found that eating prior to exercise substantially reduced fat metabolism during a workout, and a similar study done by the University of Glasgow found that exercising before breakfast resulted in greater fat loss and higher reductions of fat levels in the blood. Though it’s not scientifically proven, many runners feel that running on empty helps them avoid cramps and side stitches as well. However, this isn’t true for everybody. Experiment and listen to your body, and run on whatever makes you feel best. I personally like to run before I eat, although I never skip my morning coffee (which is ok, because some research supports that a cup of coffee might lead to greater fat loss as it stimulates your metabolism). I wouldn’t recommend running on empty for a long run, or if you haven’t eaten all day, but if you are a morning runner you should give it a shot. Research also shows that if you eat within 30 minute period after your workout, your body is more apt to nutrient absorption than normal. Take a breather. An interesting Japanese study found that participants who took a break halfway between exercise had greater fat loss than those who did not. Instead of a solid 60 minutes of exercise, they broke it up into two 30 minute periods of exercise with a 20 minute break in between. So, don’t feel bad about stopping to take a breather, it could mean your fat-loss results are even better! A great weight-loss strategy in light of this evidence would be to start with 30 minutes of light strength training exercises or lifting, then taking a short break, then move on to your cardio for 30 minutes. Drink more water, skip the sports drinks. Sports drinks are often very overrated. While they do replenish electrolytes that are lost during exercise, there are numerous food choices out there that serve the same function, without 25+ grams of sugar. Opt for water before and after your workout. Drinking water is linked to basically every health goal out there, and losing weight is among the most common. Drinking water helps your body work more efficiently to burn more calories, and studies have shown that gulping down about 16oz. of water before a meal can help you consume less calories as it helps you feel full faster. Dr. Dane Treat shares with us the major differences between water and sports drinks. Get more sleep. Just like water, getting adequate sleep is linked to better all around fitness and wellness in just about every category, but many don’t realize that it can have a direct affect on your running and weight loss strategies. 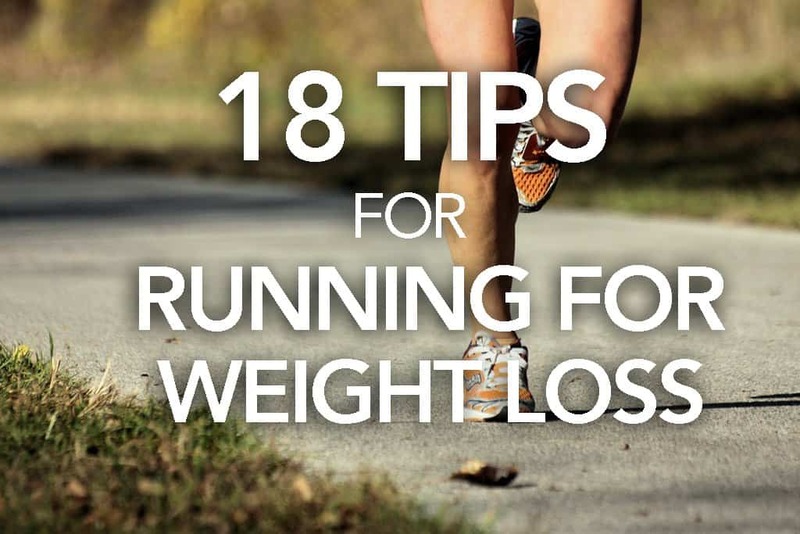 We hope these tips help you and give you guidance if you decide to start running to lose weight.